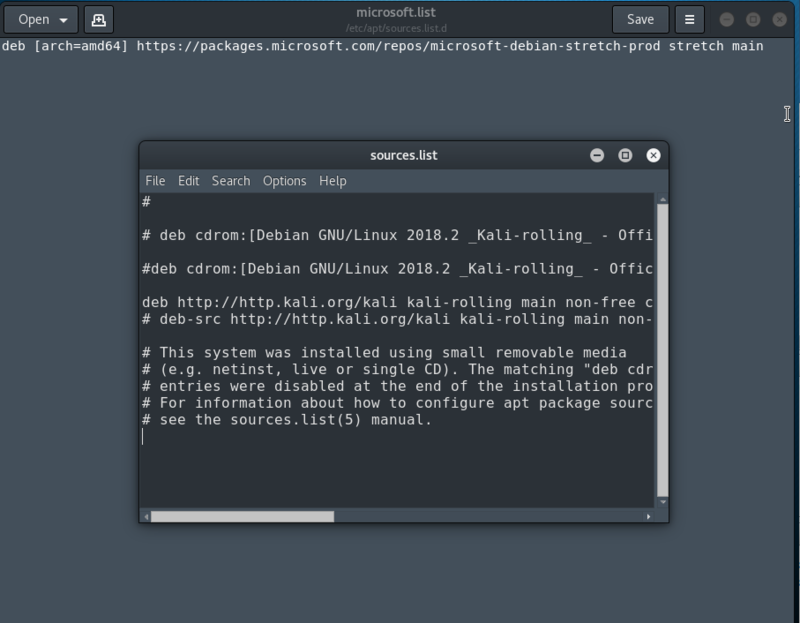 Hi, I have Powershell on Kali Linux. 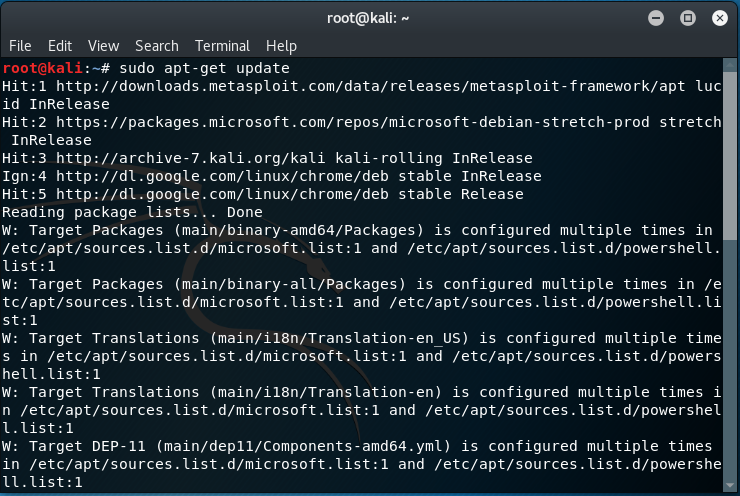 I noticed after entering sudo apt-get update, I get errors saying "Target packages is configured multiple times in etc/apt/sources.list.d/Microsoft.list:1" I just installed powershell so I'm guessing the sources.list error is for powershell and microsoft. How do I fix this so I can update Kali? I'm attaching screenshots of my sources and sources.d Microsoft folders. That's where the problems are. And the original update error.